FAIRMONT — When an emergency strikes, will you be ready? 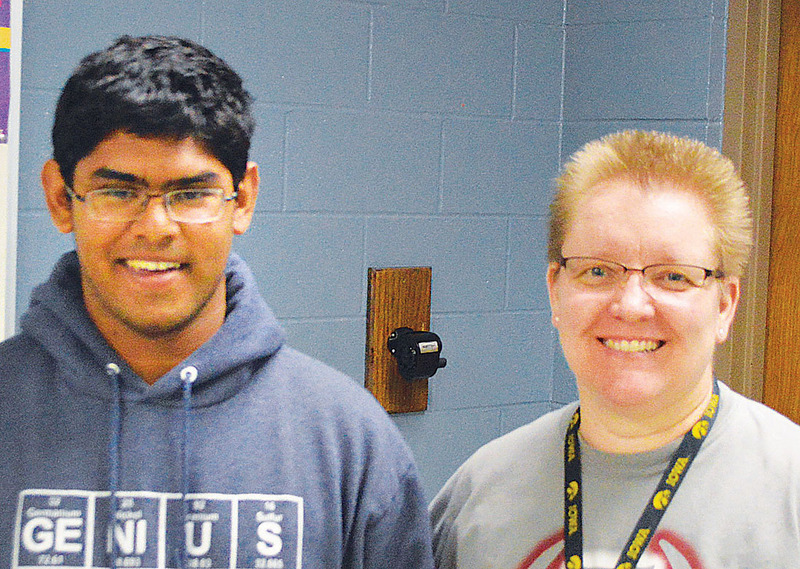 Fairmont High School student Tony Joseph now knows the answer, and it is a resounding yes. Joseph recently assisted in saving the life of a fellow student who was choking, and he credits the skills he learned from teacher Chris Engelby’s health classes for his ability to act quickly. From there, Joseph says he went into what felt like auto-pilot. Joseph said he continued his actions until one of the paraprofessionals came on the scene and took over. He states that even though he knew what he was doing, he didn’t feel like he had made much of a difference in her situation. Engelby went on to share that she appreciates Joseph’s quick thinking and actions, all of which were based on skills he learned in her class one year ago. This marks the second time in a year that one of Engelby’s students has saved a life using the skills they learned in her class. On June 21, 2016, Fairmont resident Jordan Voss was saved by a friend, Lucas Miles, who utilized CPR skills that he remembered from high school.